Santa Clara city leaders approved a $6.7 million settlement Tuesday with the mother of an arson suspect who allegedly suffered nerve damage to her foot when attempting to help her daughter avoid arrest. The woman filed a lawsuit alleging excessive force and long-term disability. A police officer's body camera captured the interaction with Danielle Harmon in April of last year. Harmon's ankle is broken after an officer kicks in her door to arrest her 15-year-old daughter on suspicion of arson. Police did not have an arrest warrant. Legal analysts said Harmon did not have to open the door. An officer's bodycam captures the arrest of a woman whose daughter was wanted on suspicion of arson. The woman was injured during the arrest and sued the city. 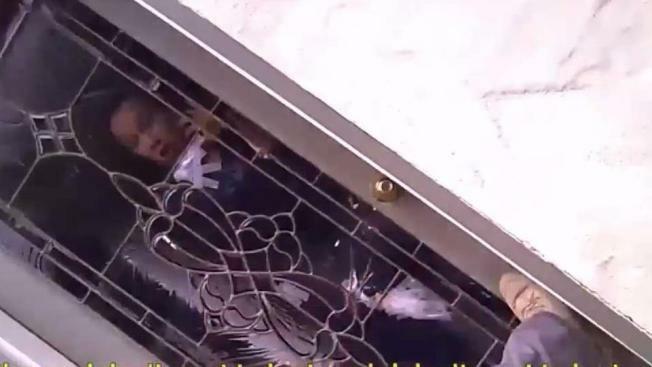 "Santa Clara police trampled all over the mother's rights, and then they trampled all over her body," legal analyst Steven Clark said. "There was no need for them to make this type of entry." 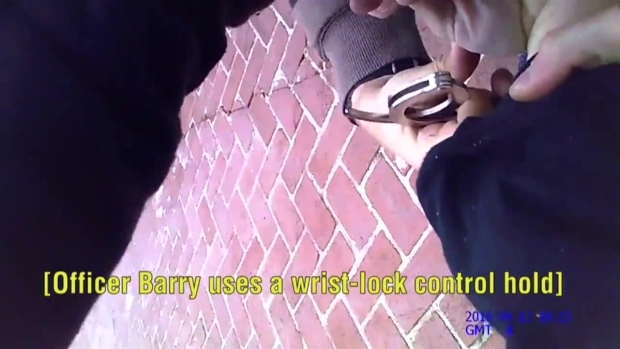 The bodycam footage shows an officer telling Harmon sto back away from the door as he is about to kick it in. She refuses, and he kicks it in anyway, and offciers proceed to forcefully pull her out of the home and detain her, allegedly causing the injury in the process. Harmon's daughter was linked to a fire at Santa Clara High School on April 4, 2016. Police were at her home eight days later. Clark said investigators had time to talk to a judge. "The PD took a shortcut," he said. "They didn't have to act this way." The Santa Clara City Council agreed Tuesday night to pay the seven-figure settlement recommended by its insurer. The city's police chief disagreed with the decision. Chief Michael Sellers believes his officers were within the law, and he wanted to see the case to go to trial. "The level of the settlement is appalling," Sellers said. "I firmly believe the judge would say they acted in good faith and not in violation with the law. That is why I completely support their actions."